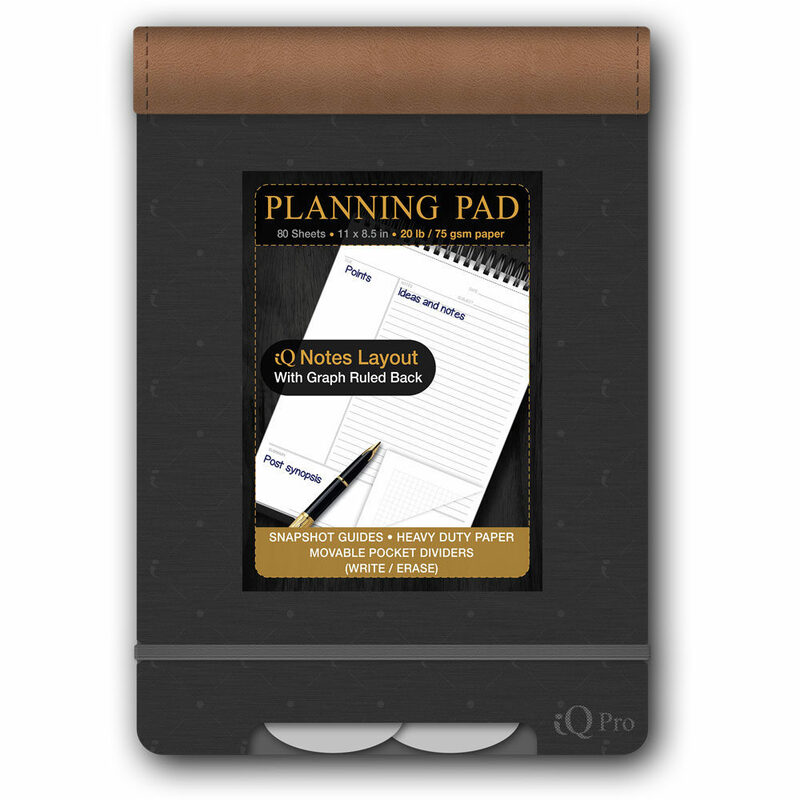 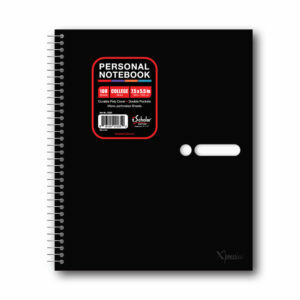 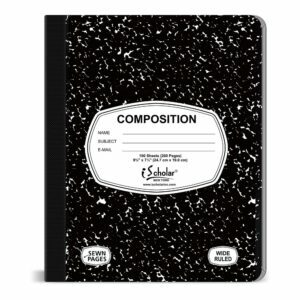 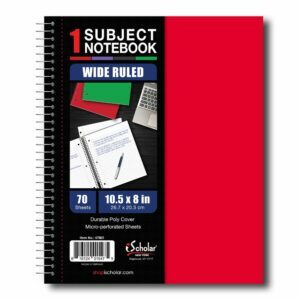 iScholar’s Executive Series iQ Pro presents a handy planning pad with a leatherette covered spine and a heavy duty poly front and back cover is designed to travel with you in your briefcase, backpack or purse. 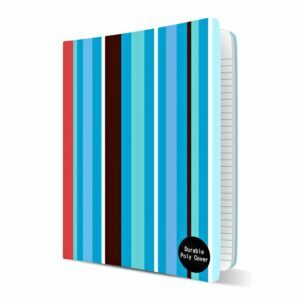 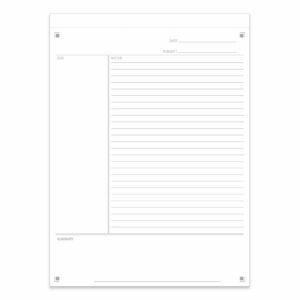 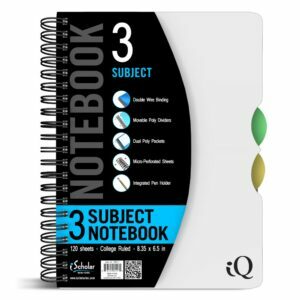 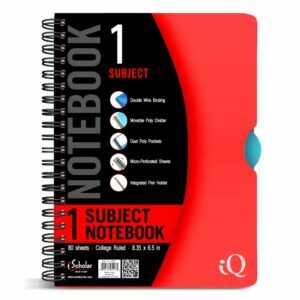 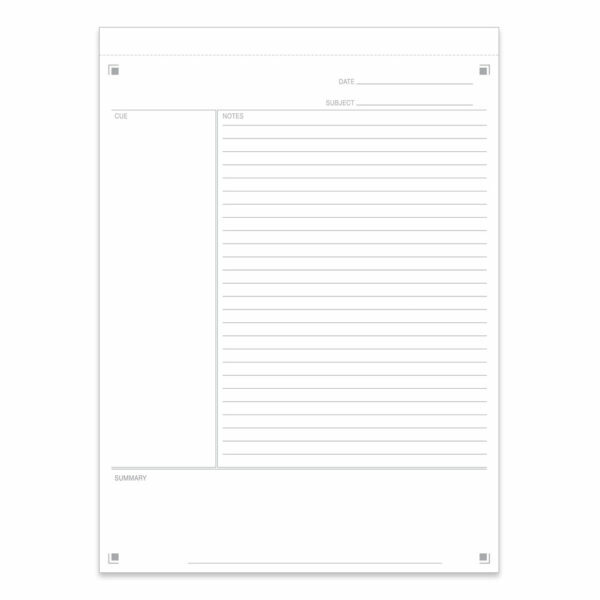 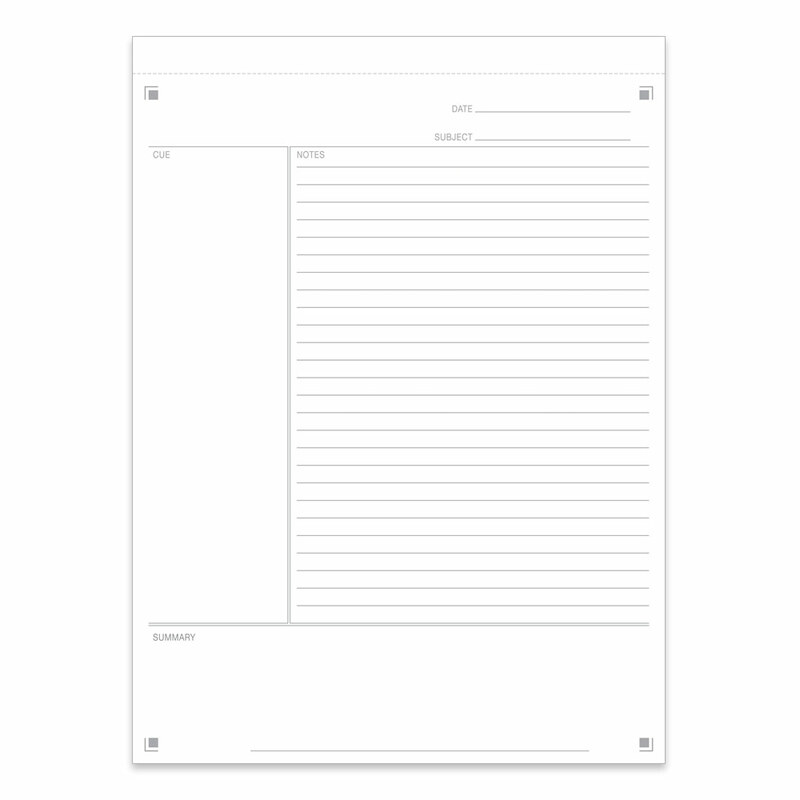 This pad comes with bright white perforated heavy duty 20# paper (75 gsm) that features a iQ Notes Layout – a cue column, notes and summary section with date and subject fields on each page for note organization. 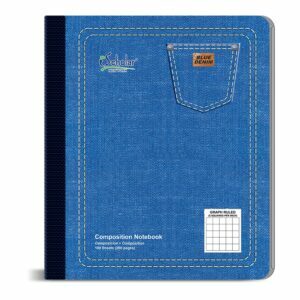 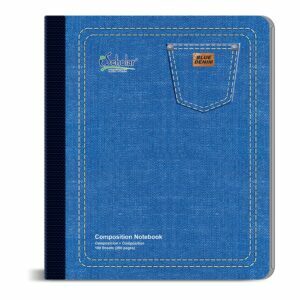 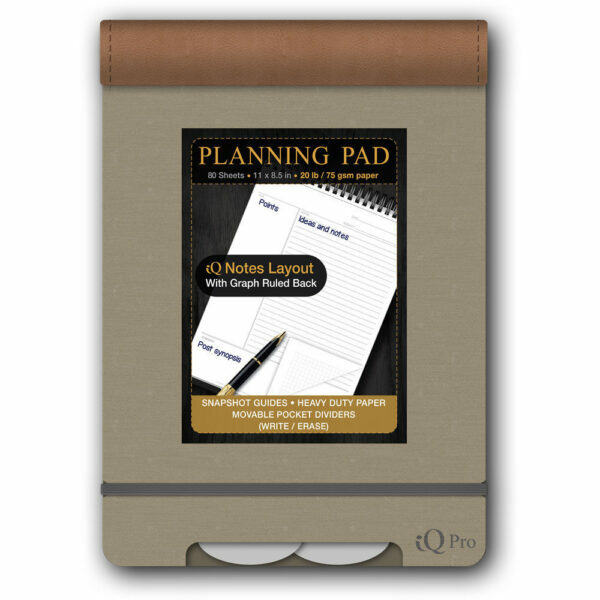 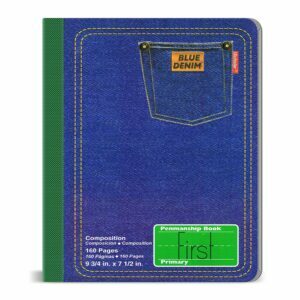 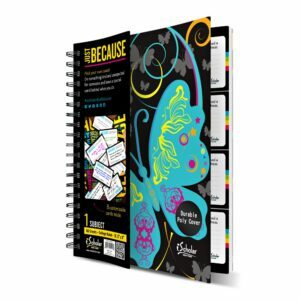 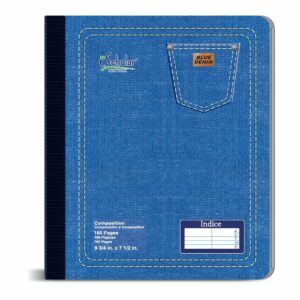 Includes 2 movable poly pocket dividers; place anywhere in notebook to organize your work. 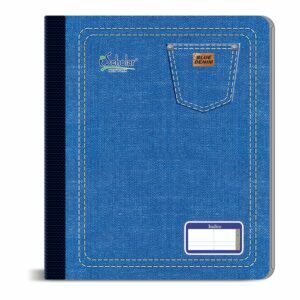 Tabs on the dividers are visible from front cover to find and flip to any page. The elastic bungee closure keeps the pad closed and safe when not in use.